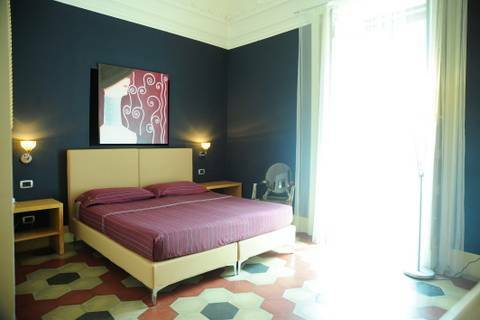 Refined, discreet in the historic centre of Catania close to Massimo Bellini Theatre the Hotel Sangiuliano114 offers a new concept of Bed & Breakfast hospitality home. The main concept of the restoration was to create a perfect harmony between the original architectural elements and a contemporary design. 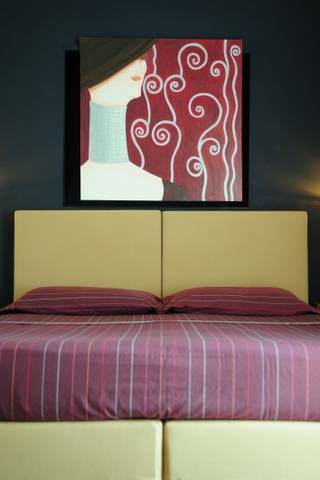 The elegant bedrooms are fully equipped to the maximum of comfort. All rooms provide private bathrooms with shower, air conditioning, air driver, mini fridge, LCD sat-TV, safe deposit box and free wireless internet connection. 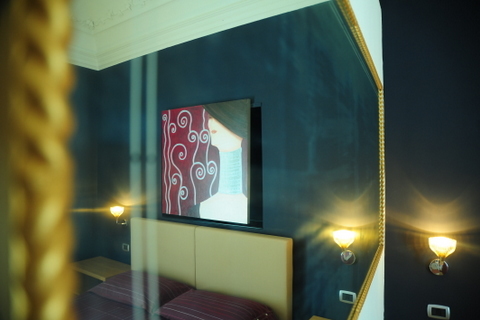 The open architecture of the interior is enhanced by the details and decor. The lighting radiates from the skylights as well as the open air grande terrazza (large terrace) where a buffet breakfast is served invite you to relax in a comfortable ambience. The terrace is decorated with typical Mediterranean plants and colors. 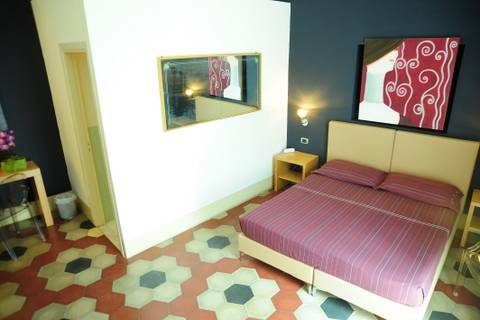 The hotel is on the second floor of a late 8 century palace in via Antonino di Sangiuliano in the heart of the the town, a short walk from the Santa Agata Cathedral (5 minutes walk), Massimo Bellini theatre (2 minutes walk), Odeon theatre, Romano anfiteatro, via Crociferi and the most important cultural and architectural sites. Up to 20 days from the beginning of your reservation you have to pay the 20% of the total amount. equivalent/better alternativeemazione con caratteristiche simili o migliori. For no show or late cancellation one night will be charged on your credit card. In autobus: Sais, Interbus, Etna trasporti, Gambimo trasporti. Close to the bus/coach and railways station 800 mt about, permit an easy access to inner city or out city zone.